Zahn is always a great writer, but some of his characters and plots don’t always live up to expectations. I have never found that to be the case when he is writing in the Star Wars universe. He takes characters old and new and breathes life into them. 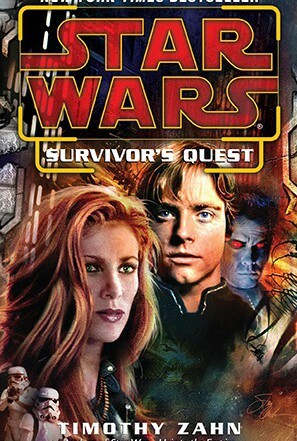 Here he focuses more on Mara Jade than in past stories, but nonetheless gives us the perspective of a number of characters, including Luke Skywalker, and several members of the new imperial 501st (also known as Empire of the Hand). The mystery and suspense is wonderful, even more so given the backdrop of Outbound Flight. If you’ve read Outbound Flight, you know what happened, but you still don’t know what to expect. The connections between that story and this one are numerous, but they never feel forced. 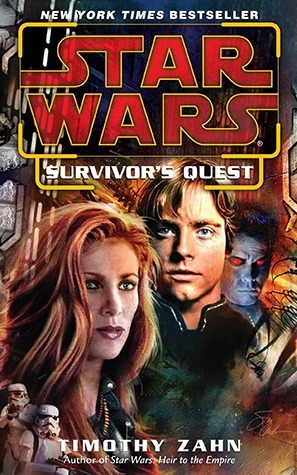 For instance, Luke and Mara never actually find out what exactly happened on outbound flight, nor why a Skysprite (which delivered Obi-wan and Anakin to the ship) was on board. So some questions are left without answers for you to consider for yourself. The action is also quite enjoyable, with quick thinking and tactics from multiple perspectives and with various skill sets, from Jedi to Storm Troopers to Chiss soldiers, and so on. I only hope that Zahn will continue returning to Star Wars, as he always seems to have something to add to its universe, characters, and to perspectives on the force and Jedi ways.